The U.S. intelligence community is no longer required to reveal how many civilians die in U.S. drone strikes and counterterrorism operations outside war zones, even as the CIA broadens its lethal-drone program. The White House chose last year not to release the report and was facing a May 1 deadline for this year’s accounting. Officials on Wednesday suggested that the reporting requirement was redundant because Congress last year ordered the Defense Department to annually submit a broader report on civilian casualties caused by U.S. military air and land operations worldwide. But the legislation also allows the defense secretary to classify the information if he certifies that its public release would “pose a threat to the national security interests of the United States.” And perhaps more significantly, critics of the move point out, the Obama-era rule also covered CIA strikes — not just Defense Department strikes. 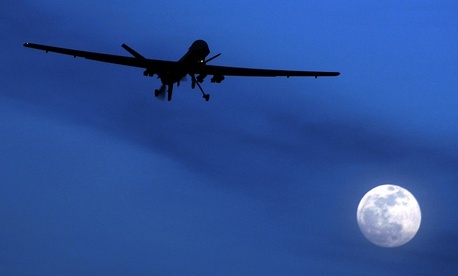 The Pentagon has also increased its lethal drone strikes in some areas. In Somalia, they are on pace to triple last year’s tally. But as of last year, the Trump administration had designated much of Somalia an area of active hostilities, according to the Times, meaning that it too would not have been accounted for under the old rules. Much of the criticism of the drone program — and in particular, the CIA’s authority to conduct lethal strikes — has centered on civilian casualties. Human rights advocates believe that the clandestine agency is less publicly accountable to policymakers and the public and therefore has the potential to be more profligate in its use of force. The Journal has reported that when strike authority was returned to the agency, it was required to meet a standard of “near certainty” that civilians would not be harmed when assessing targets, as opposed to the lower “reasonable certainty” standard that the Defense Department must meet in active war zones. But where the Defense Department publicizes its counterterror strikes, the agency does not — and congressional oversight of the CIA takes place behind closed doors by the Senate and House Intelligence Committees. Still, the two Obama-era reports provided little in the way of detail, offering only the total strike number, and combatant and non-combatant deaths. In 2016, the intelligence community reported only one civilian casualty. On the new president’s first visit to the CIA, the agency’s head of drone operations told Trump that it had developed special munitions to limit civilian casualties, the Washington Post reported. Trump was shown a video feed from a strike in which the agency did not fire until the target had walked away from a house with his family inside. “Why did you wait?” Trump asked, according to one participant in the meeting.